This is Berani, a 4 year old Malayan Tiger that appears to have perfect teeth. 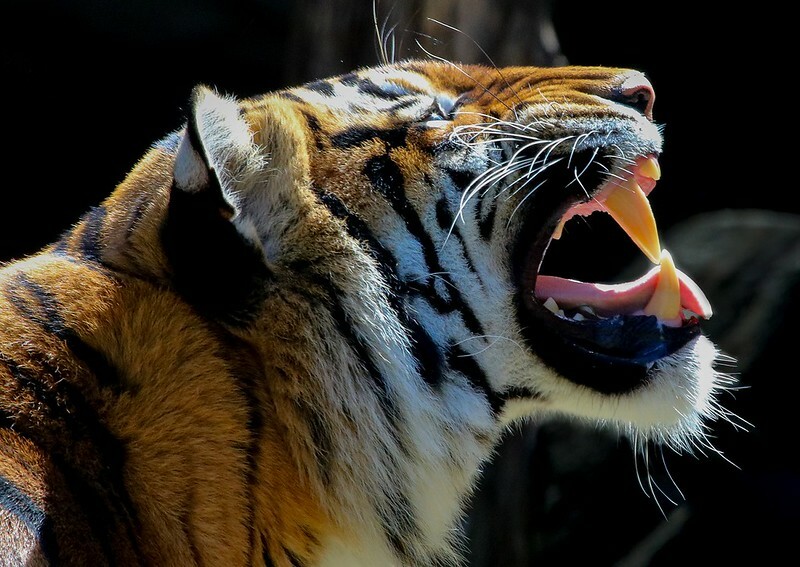 This Tiger has what appeared to be perfect teeth. Great catch; only zoo animals have teeth that good! Great shot Jay, I haven't seen this one before. Perfect timing.